Just a souvenir of the wonderful days spent in Lanzarote. This is a short movie captured from the first row of an Amanda North Tour bus. The guide was speaking mostly in German, a plus for those who understand that language. The first part of the film is on the road between Mirador de Las Nieves and 1000 palms tree valley, near Haria. 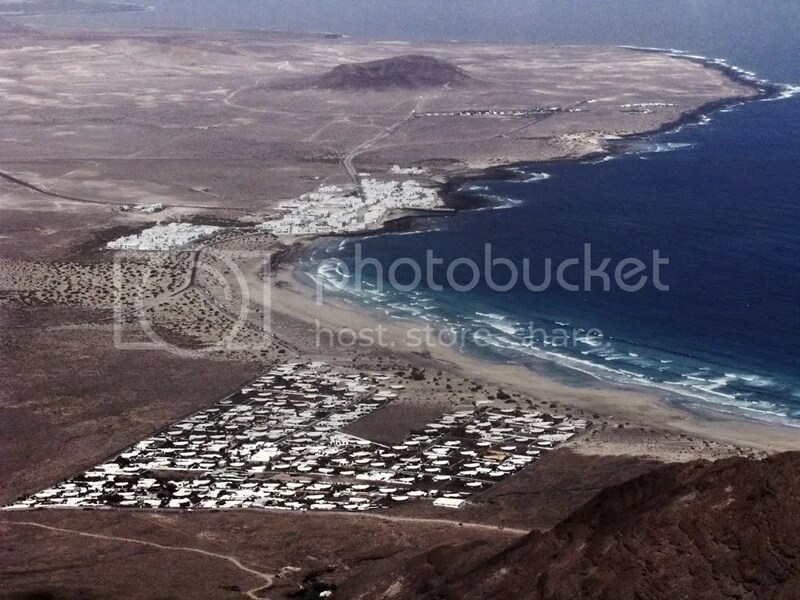 The last movie is from Puerto del Carmen, near Matagorda Beach. Enjoy the roads of Lanzarote. I’m fascinated with the power of the nature and I think the island of Lanzarote is the best place to actually see and feel that force. The volcanic island from Canary Archipelago has so many sites where you can see how the volcano (“La Corona”) modeled the landscape in a dramatic fight with its stone and the water of the ocean; one of this place is Cueva de Los Verdes (part of the “Atlantis Tunnel”), a cave made by the lava flowing its way from the volcano to the ocean. 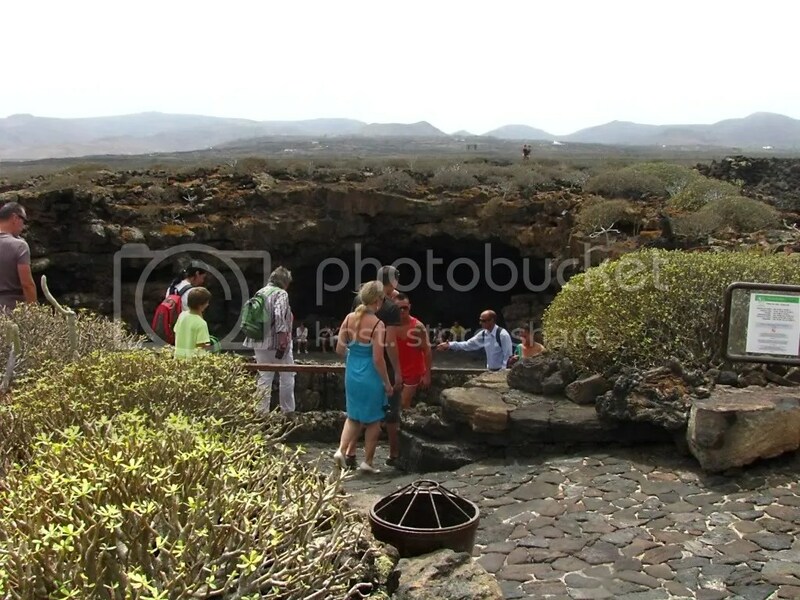 This cave is linked to Jameos del Agua place, also a continuation of the labyrinth of the old lava underground river. Despite de Jameos del Agua, which was arranged by Manrique with special facilities (like a concert hall, a pool, a bar and everything), in Cueva de Los Verdes the man-made modifications are restricted to stone steps and wall lights. The guided circuit of the cave is mandatory here as you may experience some accidents in the gallery. Also, this cave has a mysterious secret, which is not revealed until the last part of the underground trip; it’s a wonderful and unexpected secret, which can blow your mind for seconds. Well, as it is a secret, well kept by the locals, I won’t disclose it either, even if I made a fabulous picture there. It worths the trip to find out yourself. About the pictures, what can I say, it’s a cave photo session, that means only dark and colorful lights. Enjoy the underground of Lanzarote! 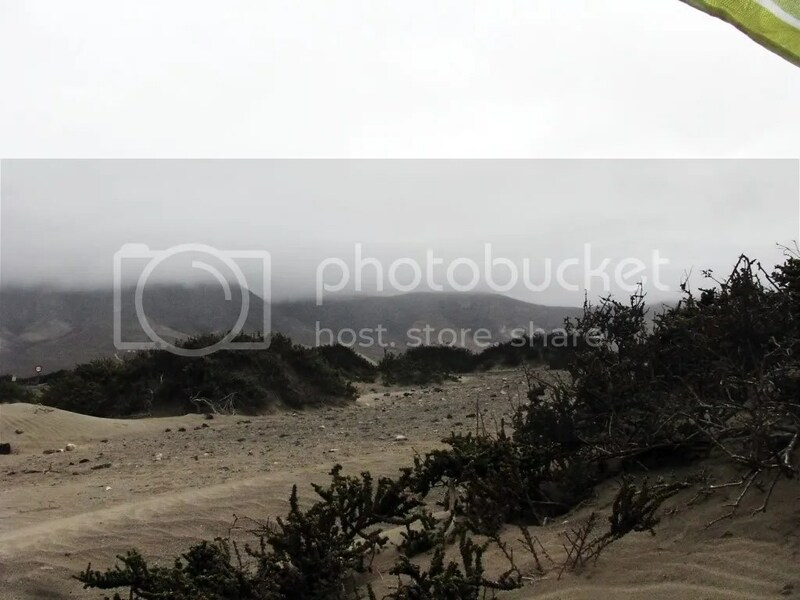 After taking some pictures of the site, despite the rain, I undress in my beach outfit. Enjoy it! 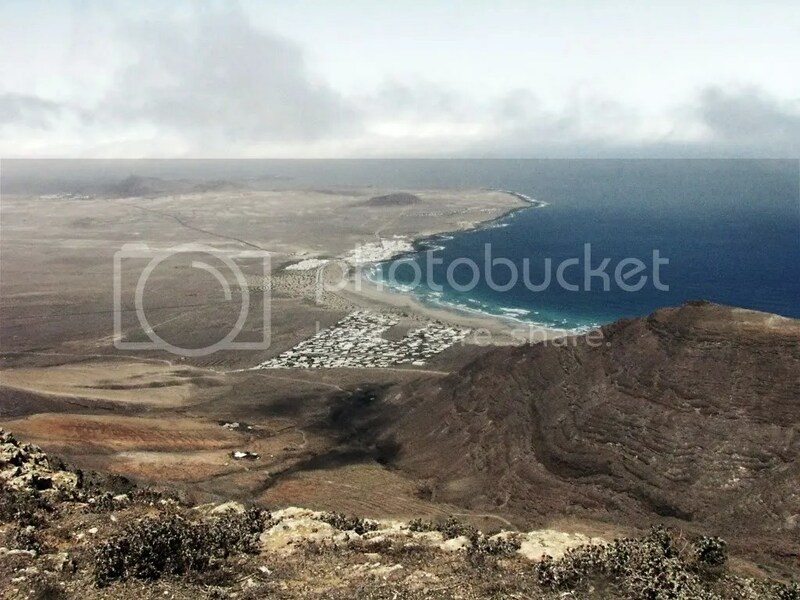 The old fishing village and harbor from the North – East of Lanzarote is a surfers paradise, unknown for the typical tourists of the island (for not being on the popular excursions map), Caleta de Famara, with its covered in sand streets, is a beautiful yet wild place to spend your afternoon. You can have a delicious meal at one of the sea-food restaurants and then walk (or even camp) on the long wild beach. Famara seems to bear the brunt of the tradewinds sweeping in from the Atlantic and the fact that the Risco — cliffs — rise straight up from the depths of the ocean to the highest point on the island mean that it always seems to be damp. That being said it is a staggeringly beautiful place, in fact César Manrique — the island’s prodigal son — loved the place, having spent many summers there as a child. Famara enjoys possibly one of the longest stretches of beach on the island of Lanzarote, curving round under the cliffs, which stand like sentinels protecting it from the rest of the island. The strong currents mean that it is not advisable to swim in the sea at Famara — most people you find in the water are experienced surfers — these currents also explain the unusual phenomena that the beach is sandy in summer and rocky in the winter. The strong winds also mean that it is not the most pleasant place to sit and sunbathe for most of the year; although it is a mecca for lovers of the extreme sport of kitesurfing, whose participants make a fantastic site skimming across the water, pulled by their large, brightly coloured kites. Not being crowded, the beach is also frequented by nudists. There is a second, much smaller beach, known as San Juan, which is mainly used by the surfers and which plays host to one of the professional surfing competions every year. This is the magnificent César Manrique‘s house from Lanzarote island. It’s situated in Taro de Tahìche, only at 5 km North of Arrecife, the capital of the island and it’s a perfect combination between the natural and artificial; the house was built on lava soil, directly into the volcanic rock and comprise two levels. The first level is a modern type building (now turned into a painting museum), but the true spectacular level is the second, underground level which has been made 100% into the lava stones. For his purpose, Manrique used empty underground volcanic gas bubbles to set up rooms. The “ground floor”, more appropriately titled the “basement”, contains five areas situated within volcanic bubbles, the rooms bored into volcanic basalt. There is a central cave which houses a recreational area, including a swimming pool, a barbecue and a small dance floor. Once outside the main house, the visitor comes to the outside area, where there is a small square with a fountain in the middle before approaching a small café area and the visitor shop. This area was once César Manrique’s garage. 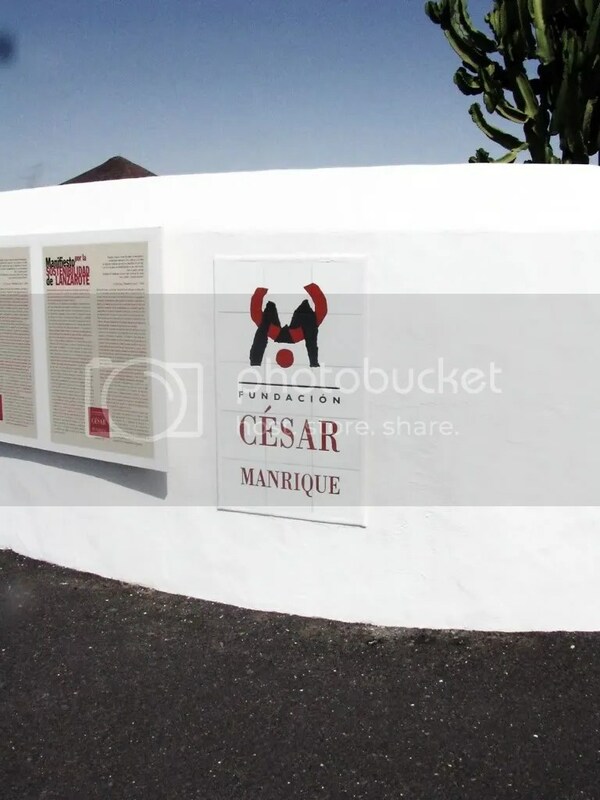 Now, the house is the headquarter of César Manrique’s Foundation and it’s open to public as a museum. If you’re in Lanzarote, this is a must-see. Enjoy the pictures I took there and, at the end of them, you can see a short movie that I captured during my visit.